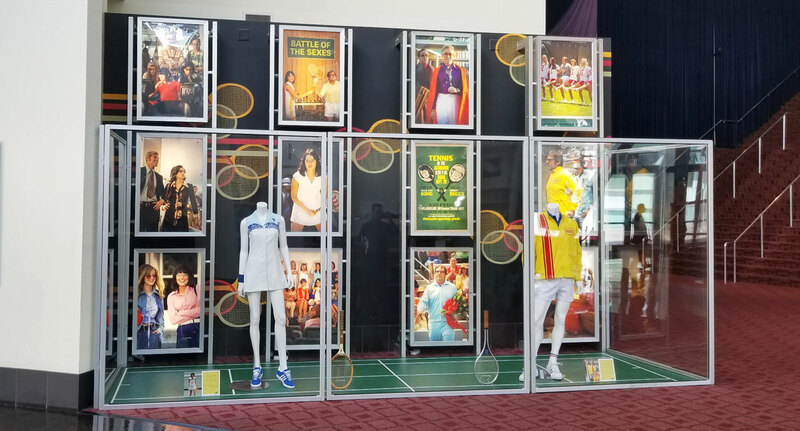 Battle of the Sexes is a film based on the true story of the 1973 tennis match between Bobby Riggs and Billie Jean King. It stars Emma Stone and Steve Carell and includes Elisabeth Shue and Bill Pullman in supporting roles. The film received positive reviews from critics and premiered on September 2, 2017. 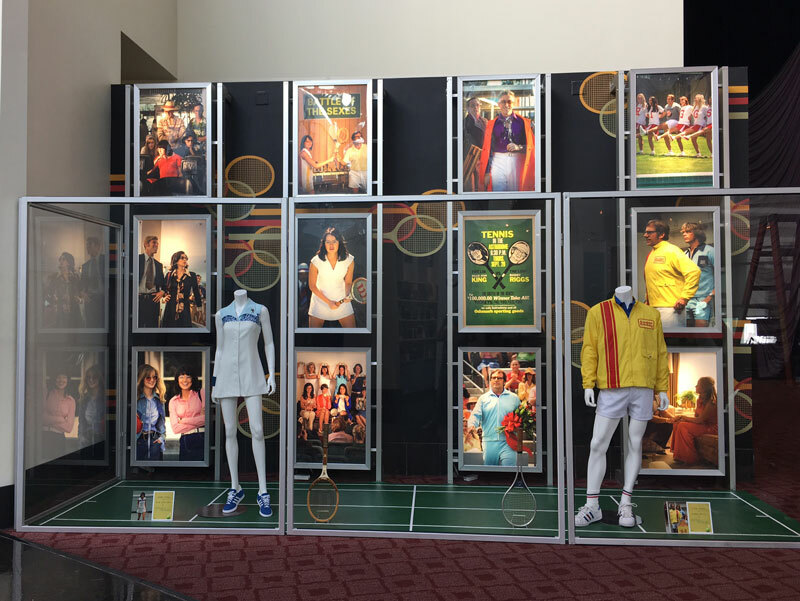 The movie shows the events that lead up to the famous match between tennis stars King and Riggs. It reveals personal turmoil for both of them. 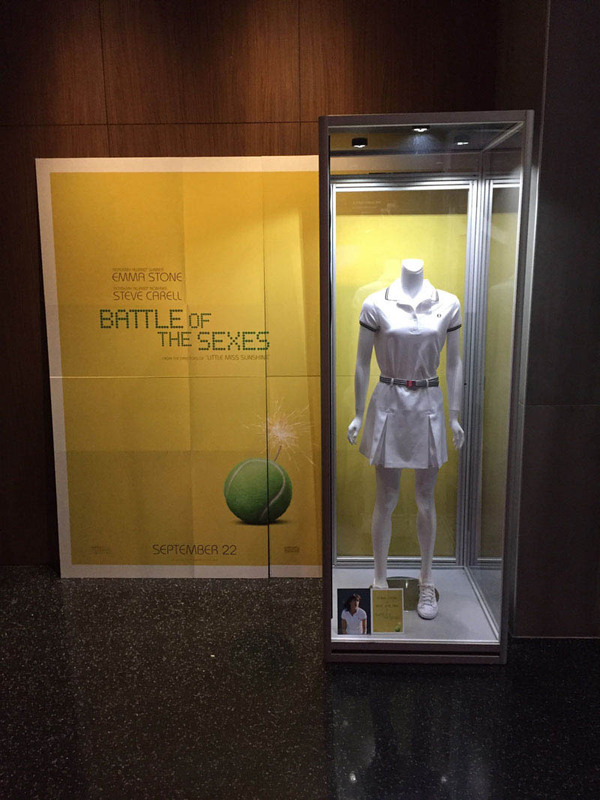 The match was created in rebuttal from the sexism of tennis at that time. Women at that time only received 1/8th of the amount of prize money compared to the men. Kramer (who was in charge of the tournaments) refused to change this. 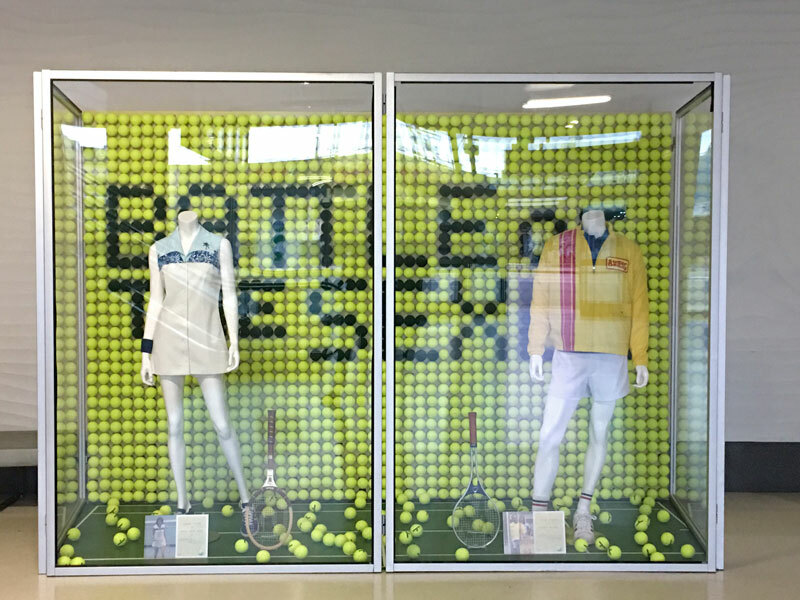 So, the women created a new Tennis Association after being expelled. Later, Kramer gets Virginia Slims to be an endorsement and wants the women to play for him again. Riggs was having marital problems from his gambling addiction and missed being in the limelight. He was at one point the top tennis player in the world and wanted that respect again. So, he boasted he could beat any women at the age of 55. At first King refused but later accepted the challenge. 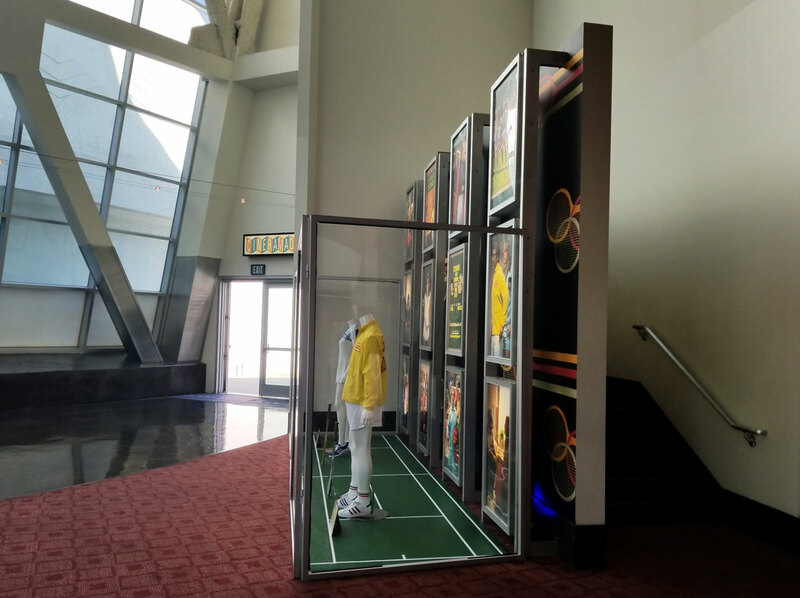 Olson Visual installed some amazing prop and display units. They used their famous T3 System. 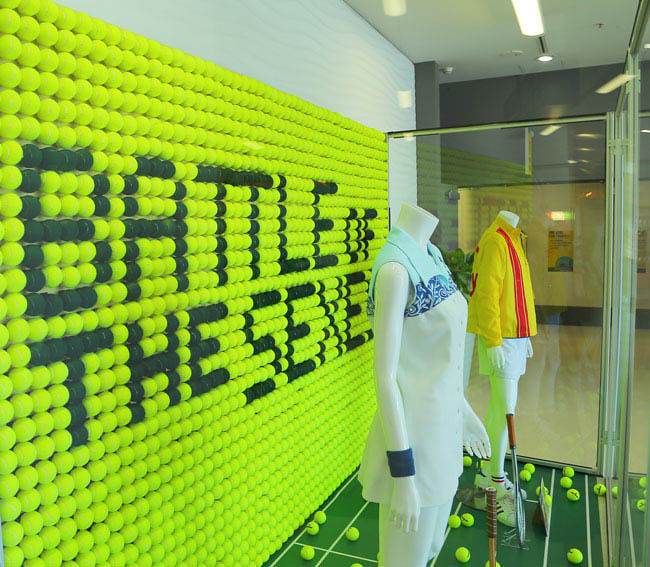 One of them was very creatively done with a backdrop of tennis balls. This created a unique effect. Check out these images of our work.